Soldiers from 2nd Battalion, Royal Australian Regiment. Image via Commonwealth of Australia, Department of Defence. 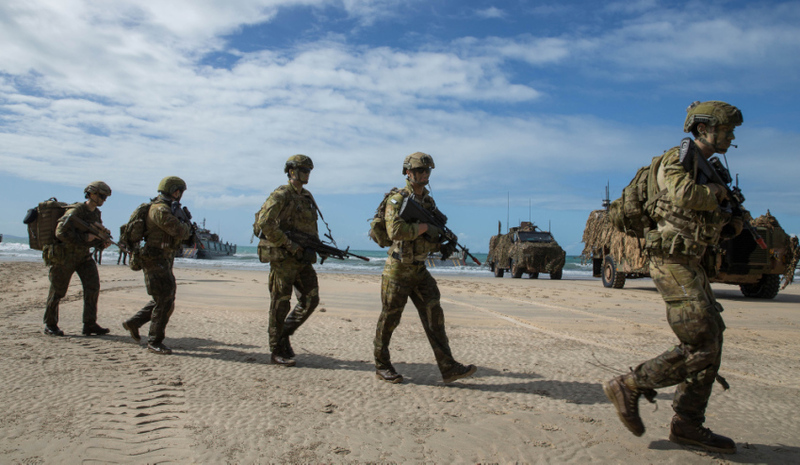 Approximately 80 Australian Defence Force personnel will be sent to the Philippines to provide expanded assistance as part of counter-terrorism training. Speaking at the Association of South-East Asian Nations (ASEAN) Defence Minister’s Meeting-Plus in the Philippines, Minister for Defence Marise Payne said ADF mobile training teams will begin providing urban warfare counter-terrorism training in the Philippines in the coming days. As part of the increased co-operation, Australia and the Philippines defence forces will also work together to enhance intelligence, surveillance and reconnaissance in the southern Philippines; strengthen information sharing arrangements; and enhance maritime security engagement and bilateral maritime patrols. "The practical training the ADF will provide will ensure the Philippines defence force is better able to counter the brutal tactics being employed by terrorists,’" Minister Payne said. "Globally, we have seen the effect of extremist ideology and terrorist threats on millions of civilians and it is alarming to see this disruption come to our region. "The spread of Daesh-inspired terrorism is a direct threat to Australia and its interests, and we are committed to working with our partners and allies to ensuring Daesh cannot establish a geographic foothold in the region." Australia and the Philippines will also co-host a multi-agency civil, military and law enforcement seminar on post-conflict rehabilitation efforts. This seminar will draw on lessons from past operations, and international and local civil-military-police expertise. Minister Payne and Philippine Secretary for National Defense Delfin Lorenzana confirmed the arrangements during a bilateral meeting on the sidelines of ASEAN Defence Ministers’ Meeting‑Plus in the Philippines. Minister Payne said they also discussed the engagement of Australia’s AP-3C Orions in light of the progress in Marawi. "In addition to our strong Australia-Philippines defence relationship, the region needs to strengthen cooperative efforts to keep further Daesh aspirations in south-east Asia in check," Minister Payne said. "All nations must learn from the recent Marawi conflict and the Philippines’ experience. Australia is committed to staying vigilant and is prepared to support and contribute to the regional security efforts of our closest friends." The Australian and Philippine defence relationship is long-standing and supported by a comprehensive Defence Cooperation Program, a Status of Visiting Forces Agreement and regular bilateral and multilateral training, education and counter-terrorism exercises.